What is Relative Humidity (RH) and How Does It Affect Your Piano? You’ve probably heard the term relative humidity, but what exactly is it and how does it affect your piano? Relative humidity (RH) is the amount of moisture contained in the air, compared to the maximum amount of moisture that the air is capable of holding. The moisture content of air is affected by weather as well as conditions and activities within the home, while the moisture- holding capacity of air varies with temperature. When the RH of air in a room increases, moisture will tend to transfer from the air to wood and other absorbent materials in the room, as the wood absorbs moisture it expands. 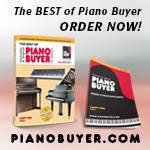 Consider that much of the material in your piano is wood. One of the most vulnerable components is the soundboard. When the RH of air decreases, moisture will transfer from other materials back into the air, in other words the wood will become drier (and change shape slightly). Signs your house is too dry? Walking across a room with a rug and reaching for a doorknob results in a 1″ arc of electricity jumping out and zapping you. You go to pat your cat or dog but instead you zap them in the nose. They look angry and may even run away. One of the results of this constant fluctuation in the moisture content of the wood in your piano is the changing of the shape of the soundboard. Because the strings of the piano pass over a bridge that is glued to the soundboard it stands to reason that the tension on the strings will change as well, expediting the drift of the pianos pitch (helping to knock it out of tune). When it is very cold outside heating is needed. Heating can dramatically decrease the relative humidity in the home compared to what it is outside. The temperature and *dewpoint spread dramatically apart when air is heated. Suppose the temperature outside is 35 F with a dewpoint of 20 F. When that air is brought inside and heated the temperature can increase to a comfortable 72 F while the dewpoint is still 20 F. Even though there is the same amount of moisture in the air outside and inside, it will be much drier inside because the rate of evaporation is much higher when the relative humidity is lower. Static and dry skin will be problems in the home when the relative humidity is low. What all this means for the piano owner is that cold weather typically means dry conditions in the home, and that’s not good for your piano, or you. A room humidifier can definitely help, but even with a whole room humidifier the atmosphere immediately around the piano may not be stable enough. 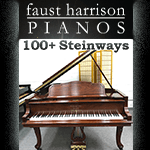 One solution is a humidity control system designed specifically for pianos. The Dampp-Chaser / Piano Life Saver system is a complete system that monitors and balances the humidity in the immediate area of the piano itself. It contains a humidistat that constantly monitors the air around the piano itself, and automatically adds moisture when needed, it also can turn on the dehumidifier rods when the moisture is too high (typically in the summertime in warm climates). Your piano tuner-technician should be able to figure out the best system for your specific needs, he/she can then properly install the system for you.